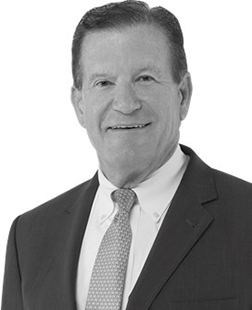 Don Morrow is a Senior Vice President in the Investment Sales Division at NAI Horizon in Phoenix, Arizona. With over 40 years of experience, he concentrates on office and industrial, investment sales. His ownership experience as a principal with a real estate investment firm and familiarity with structured finance provide valuable insights into the perspective of his clients. Don: I am back to doing what I originally did several years ago as a broker specializing in office and industrial properties for investment purposes. In the morning I spend my time updating my records in ClientLook, strategizing my calls for the day, doing research, and preparing for meetings. A large portion of the balance of my day is devoted to calling current and prospective clients and providing them with market information in an effort to build relationships. The feedback gained during these calls is entered into my database in order to build a comprehensive understanding of my clients, and is then the system is used to schedule my next contact with them. When did you first start using ClientLook? How easy was it to get your data converted into ClientLook? Don: I started using ClientLook in May of 2018 and I was up and running right away. I had Excel spreadsheets with property and ownership information which I formatted to match the fields in ClientLook prior to importing all of my data. The ClientLook team handled the import and my contacts were all linked to the properties immediately. This gave me a great foundation to start on, and I was able to use the system making during my calls right away. Now I am in the process of continuing to call the owners to verify the information and add updates to ensure that everything is accurate. What CRM solution were you using previously and why did you choose ClientLook? Don: I used ACT! when I was a broker before, but since I started back into brokerage in January I was just using Excel spreadsheets. I tested out a couple other CRM’s and didn’t like them because of the difficulty in entering information or their lack of flexibility. Then I had a trail with ClientLook and this CRM best fit my needs. I also know several other brokers who use ClientLook, and when I spoke to them they all had positive things to say about their experiences with Clientlook, so that was a helpful deciding factor as well. Don: ClientLook has helped me be more organized and I am able to keep better track of all my information. The follow-up capabilities within ClientLook help keep me on track and remind me of important tasks and events. I also like that I can create custom groups of contacts that fit into business strategies that I am pursuing. My experience with ClientLook has been good; there are a lot of pieces to the system that are easy to use. What features do you like the most about ClientLook?? Don: The iPhone app is very helpful; it’s nice to know that I always have the information I need, even when I’m not in the office. I usually send emails directly out of ClientLook, and use the BCC feature, and I like that I can easily reference my emails and attachment that were sent to each contact. It’s a very logically organized system, and is easy to edit. I am committed to having an accurate database, and it’s easy for me to add in properties and update information within the system. Don: My first piece of advice is to definitely use a CRM; every commercial real estate broker should have one. Second, I think that having a CRM where it is easy to add customizable fields is essential, and I can easily customize ClientLook; adding or removing fields to make if fit my needs. This removes the clutter that I don’t care about and helps me to stay focused on the essential information. Don: It’s been great! I have had several calls with Greg Hoard and it’s been an excellent experience, he not only understands the software he understands the brokerage business. He has stayed on top of me to help me fully engage in using the system to it’s full potential. I like that Greg is enthusiastic and acts like my cheerleader. Plus, whenever I have a question or a problem the support team is always quick to respond.